This trade-in offer is available at B&H Photo Video/Adorama/Focus Camera (Free Nikon travel case and a Sony 120GB XQD G Series memory card). Previous Previous post: $200 Price Drop on Nikon D850 Coming this Weekend ! 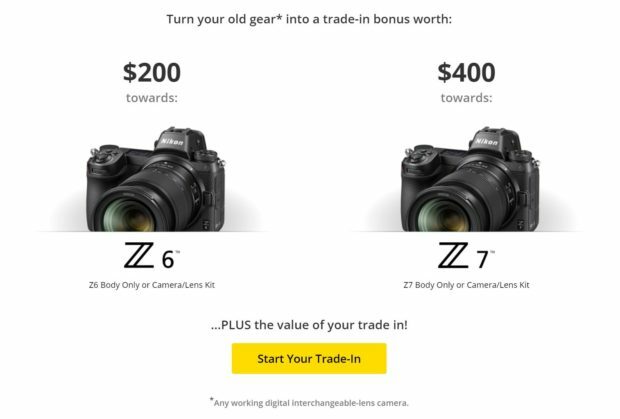 Next Next post: Now Live: $200 Off on Nikon D850, Up to $400 Bonus on Z6 & Z7 Trade-In Offer !